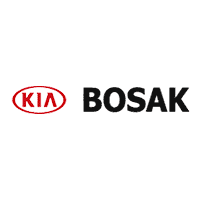 From new Kia Optima sedans and Kia Stinger sports sedans, to new Kia Niro SUVs and other top new Kia models, you’ll find everything you’re looking for and more at Bosak Kia. Ready to get behind the wheel of some of your favorite new cars? Stop by our new car dealership in Burns Harbor, Indiana for a test drive today. 2019 Kia Forte S Deep Sea Blue 4D Sedan 2.0L 4-Cylinder FWD CVT Keyless Entry, Bluetooth/Hands-Free, USB Port/Phone Charger, Auxilliary Jack, Electronic Stability Control, Exterior Parking Camera Rear, Front fog lights, Fully automatic headlights, Power door mirrors, Power windows, Remote keyless entry, Steering wheel mounted audio controls, Telescoping steering wheel, Tilt steering wheel, Wheels: 17" x 7.0" Machine Finish Alloy. 30/40 City/Highway MPG. Sale price is quoted with KIA Finance bonus rebate $1,750. Must finance with KIA. New vehicle pricing includes all offers and incentives. Taxes and fees not included in vehicle prices shown and must be paid by the purchaser. While great effort is made to ensure the accuracy of the information on this site, errors do occur so please verify information with a customer service rep. This is easily done by calling us at (219) 336-8438 or by visiting us at the dealership. For a competitively priced selection of new vehicles in Burns Harbor, IN, look no further than the amazing new inventory at Bosak Kia. And for great ways to save even more on top new Kia models, don’t forget to check out our one-of-a-kind new vehicle specials and discover the savings you deserve. To learn more, give us a call now at Bosak Kia. When you value your trade at Bosak Kia, you’ll uncover extra-special savings you can pour into the next new vehicle in your life. What are you waiting for? Make use of our convenient online payment estimatorand start planning ahead, or fill out our online auto financing application and get the ball rolling with one of our stunning new vehicles in Burns Harbor, IN today.